It is our ambition to become a fully registered full-time Independent School. Whilst we prepare and process our application with the Department for Education we will be providing a part-time setting for Home Educated children only. What is the ethos behind your setting? We are working to create a new self-directed democratic learning community based on the Sudbury Model. 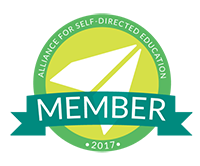 Self-directed means that children will have complete freedom over how they spend their time, what interests they pursue, what they learn and how they learn it. Democratic means that all students and staff together form the community which is responsible for making all decisions regarding it’s own organisation and each member of the community has an equal vote regardless of age or any other factor. When deciding what kind of school we wanted to create our founding group knew we wanted a school that gave students complete freedom to self-direct their learning and a genuine say in all matters regarding the running of the school. 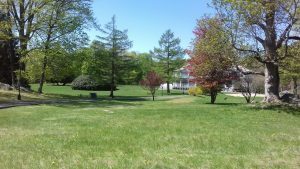 Sudbury Valley School in Framingham, Massachusetts, was founded in 1968 and is still running and thriving today and was a huge inspiration to all of us in starting this project. Sudbury Valley School catalogued the organisation and philosophy of their school through many books, handbooks and other media from which many other schools in the US and around the world have been founded. Rather than re-invent a new model from scratch it made sense to us all to base our project on the Sudbury model whilst ensuring we meet our local regulatory requirements. Our part-time provision is currently located within Cliftonville Community Centre in Margate. We are still looking for a long-term home for the project. You can find us on Google Maps here. How is the project paid for? As an Independent organisation we receive no funding from Government or outside bodies our educational provision is paid for entirely by fees from parents and donations. This means we are not taking any funds from the local community, in line with our democratic ethos the project is paid for by those that use it. Why not apply to become a Free School? When we first embarked on our project to found the UK’s first Sudbury model school we looked carefully at all the options available to us. It is hugely important to us to be able to follow the Sudbury model as closely as possible and to give students real control over what and how they learn and use their time in our provision. Whilst Government funded Free School’s are not required to follow the National Curriculum the regulatory constraints placed upon them would make following an entirely self-directed ethos impossible. The other requirement for the Government to put funds towards a new Free School project is that the project must be able to demonstrate a high local need for the places the school will provide. Whilst support and demand for educational alternatives is growing in the UK and around the world, demand for such radical alternatives as a Sudbury school is still fairly low in the overall population, it would therefore be difficult to demonstrate this level of public need at this point in time. Does the project contribute to the local community? Yes, East Kent Sudbury School contributes to the local community in many ways. Firstly we are providing an educational setting not otherwise available in the local area to families who would otherwise be struggling to educate their children in the way they believe to be most effective and appropriate for their child. Many of the children that seek out an alternative have been let down by the mainstream system, whilst parents are free to home educate by law in the UK it is not always a practical option for the parents and comes with its own disadvantages as well as advantages. East Kent Sudbury School is creating a real option for these families. We are also helping to fund local charity work, by renting our current space approximately 60% of our income in our first year will go to the Community Centre where it directly supports their charity work. We also work to raise the profile and awareness of educational alternatives locally and nationally through our blog, social media, talks and other events, helping more families become aware that there are alternatives to mainstream schooling. How does the community organise itself? All decisions about the running of the community are taken in the weekly meeting. Decisions will be made here on matters like expenditure, staff recruitment, excursions and the community’s rules or laws are written here. The meeting agenda is posted on the notice board and all are free but not obliged to attend. A chairperson is appointed to run the meeting and maintain order and this could be a staff member or student. If kids are free to do what they like won’t it just be chaos? With freedom comes responsibility. Whilst children are free to use their time at school how they wish they are not free to infringe upon the rights and peace of anyone else in the community. If you alone are responsible for your choices and actions then you alone are to be held accountable for those actions, any students breaking community rules and causing an infringement on others are held to account by the Judicial Committee. How does the Judicial Committee work? If someone breaks a rule or is believed to have infringed on the rights of another or the community as a whole a complaint is made. (This is quite a simple form. Students not yet able to write can ask someone to scribe for them.) Anyone can have a complaint filed against them, staff are not exempt. The Judicial Committee or JC, which is a mixed age panel selected from the community members each week, meets daily and works through the complaints. The persons involved are called and details are checked, witnesses interviewed, all sides are heard. The person on trial is asked to make a plea – guilty or not guilty – and then their sentence if applicable is decided upon by the committee. This may seem laborious but the whole community takes it seriously and it is an extremely effective way to sort out issues. All issues are dealt with fairly and transparently; it is very rare that a sentence is contested or appealed. Does everything have to go through the JC? Not at all. And in a community where issues are dealt with fairly and openly and students have practise at resolving issues in this way many problems are simply dealt with informally between students with no complaint necessary. Bullying can occur in any context, what makes a Sudbury setting different is how it deals with it. Because discipline and safety is managed by the community as a whole not by adults in charge there is no shame attached to being brought up or to reporting an incident. Being brought up is not a judgement on the person, merely the community saying ‘we don’t approve of your actions’. Because the whole community shares the responsibility, acts of harassment are strongly disapproved of and dealt with quickly before it can become continuous bullying. Is it safe to have young children mixing with teens? Age-mixing is one of the most natural things for kids to do. Younger children look up to and enjoy being nurtured by older children, and older children learn care-taking of the little ones, as well as enjoying an extended childhood of free play. We take safe-guarding extremely seriously and as such our community will form rules to guide students when mixing across wide age gaps as to what behaviour is appropriate. Not only do we believe age-mixing safe, it is one of the key ingredients that make our model so successful. We trust students to make their own choices and to learn from those choices. Any interest or activity, provided it’s within the laws of the community, are considered worthy and equal. We do not have a hierarchy of subjects with academics at the top, craftsmanship and arts in the middle and play or hobbies at the bottom. We recognise that learning can come from any interest and often happens as a by-product rather than as the goal. So yes a child could spend the whole day playing outside, on a computer game, reading, chatting or just about any other activity you can think of. Many parents worry about their children becoming obsessed with just one thing and spending all their time on that. Traditional schools talk about having a balanced educational diet and this is a hard concept to let go of. 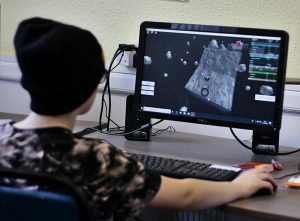 The Sudbury model sees that in any pursuit there is more than just one thing being learnt, playing a video game may involve teamwork, problem solving, map reading, quick reflexes, memory skills, reading instructions, making mathematical calculations; these things are no less valid because of the context. In fact, because the child is using these skills to solve real problems they are more valid than a hypothetical scenario laid out in a text book. However, that all being said, because of the nature of the setting the student would not be doing one thing all day in isolation. There would be many other students around them following other interests and carrying out different projects which the child would be exposed to. So it is far less likely than if the child were following their interest at home, alone, that they will not also embrace other interests at some point. If there is no standard curriculum how will my child learn “the basics”? Skills such as reading, writing and numeracy that we consider essential for success in the modern world are learnt easily when children are directing their own learning and play precisely because they are essential these skills occur all the time. Spending pocket money at the shop, bartering sandwiches for chocolate biscuits, who climbed highest in the tree? What’s on the notice board this week? Did we have enough votes for a majority? Completing a complaint form for the Judicial Committee, writing out a proposal for field trip, if 10 people want to make a gingerbread house how much flour do we need to buy and so on. Children become more proficient through reading, writing and using numbers in real life situations to solve real problems. This kind of informal learning is notoriously hard to see and measure, it requires a great deal of trust on the part of the adult that learning is taking place. Sometimes a particular child may become frustrated that their ambition outstrips their current skill level. This frustration often provides the motivation for a burst of intensive goal driven learning. They may utilise traditional course books or request lessons at this point or find their own way. When the learner is ready the skill is acquired relatively quickly and easily compared with the years it would be expected to take in a traditional classroom. How do you cater for children with Special Educational Needs? We have an open admissions policy, anyone is welcome to apply. The model as implemented in other Sudbury schools works very well for a wide range of children with a wide range of needs. In fact, for many reasons the setting will be far more suitable than a traditional setting for many with special needs. Children are free to learn how they wish for example, there is no bias towards learning through text. Children will not be expected to meet specific milestones at specific ages so no one will be considered ‘behind’. No one will be packed into a crowded class room so children that struggle with sensory overload will have space to be on their own when they need it. Many of the stresses put upon children with special needs to behave like their neuro-typical counterparts will not be there, instead they can thrive in their own way. However, the requirement to join our community is that you are capable and willing to take responsibility for your own actions. If a particular need/condition makes that an impossibility, then the community will not be a suitable setting for that child. In that instance we would be failing the child to suggest we could meet their needs. But every child wishing to apply will be considered and it will be through discussions between child, parents and admissions committee and through visiting days and a settling in period that all concerned can assess whether indeed our setting is the right place for that individual. You can read more about how the democratic education works for children with special needs over on our blog. How does the Sudbury model prepare students for their later lives? Students of Sudbury schools and communities have practice in making real decisions about their lives, they are responsible for their choices and as such are well prepared for the independence of adult life. Having the time to follow their interests they often have a clearer idea of what they would like to pursue as a career compared to a student that has been given little choices over their learning. The community’s democracy prepares students for life as citizens within a democratic country, children will leave with an understanding of and respect for the processes of government and justice.